Work has always been Chad Smith’s hobby. The woodworker who owns a cabinet shop and Chad Smith Enterprises in Dalton Gardens, Idaho, doesn’t ever see himself retiring. Chad fell in love with woodworking in junior high school. He worked construction jobs until about 20 years ago when he decided to start doing residential cabinetry work on the side. 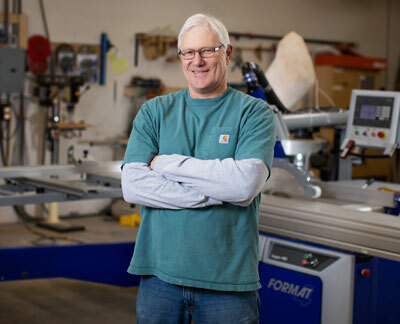 To achieve his small business dreams, Chad has financed his woodworking equipment with Stearns Bank. 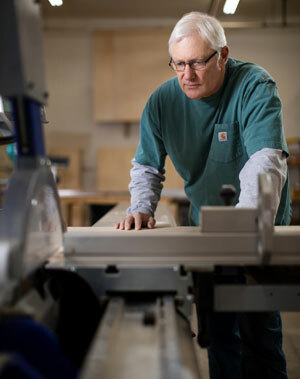 He financed a wide belt sander a few years ago and recently financed a Felder table saw. The sander gives a professional finish to Chad’s products. 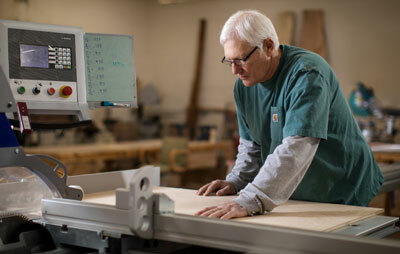 The table saw improves his efficiency, and is less physically strenuous than his old equipment. “Ease of operation is the main thing for me – and saving my back,” Chad said. Chad appreciated working with a lender that understands the woodworking business. The equipment finance division at Stearns Bank has worked with woodworking shops and cabinet makers throughout the country. They understand how the equipment is used and don't waste time asking unnecessary questions. “I was impressed by how nice everyone was on the phone. It was pleasant to see how fast Stearns Bank got things done. I was completely satisfied from start to finish,” Chad said.